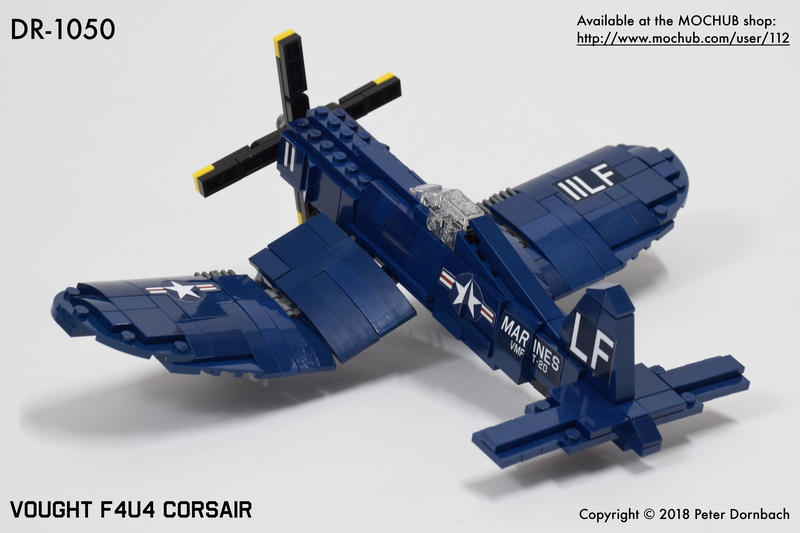 1:48 scale model of a Vought F4U4 Corsair. 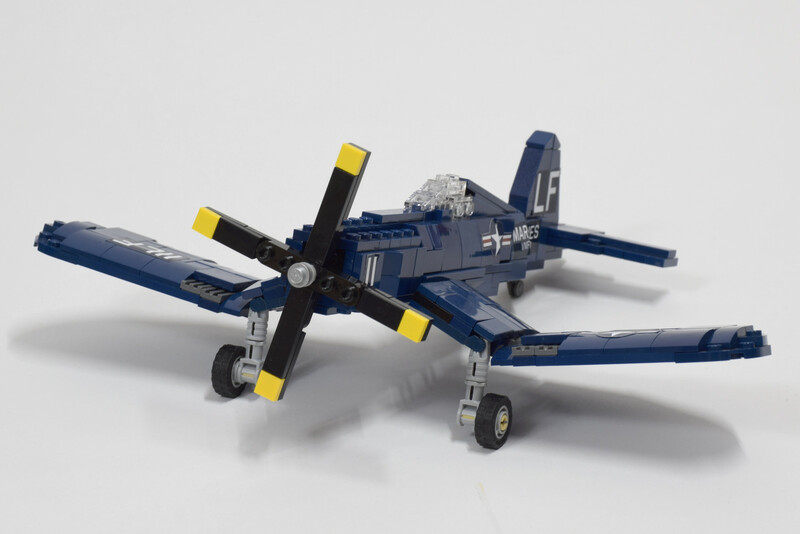 The Vought F4U Corsair is an American fighter aircraft that saw service primarily in World War II and later in the Korean War. 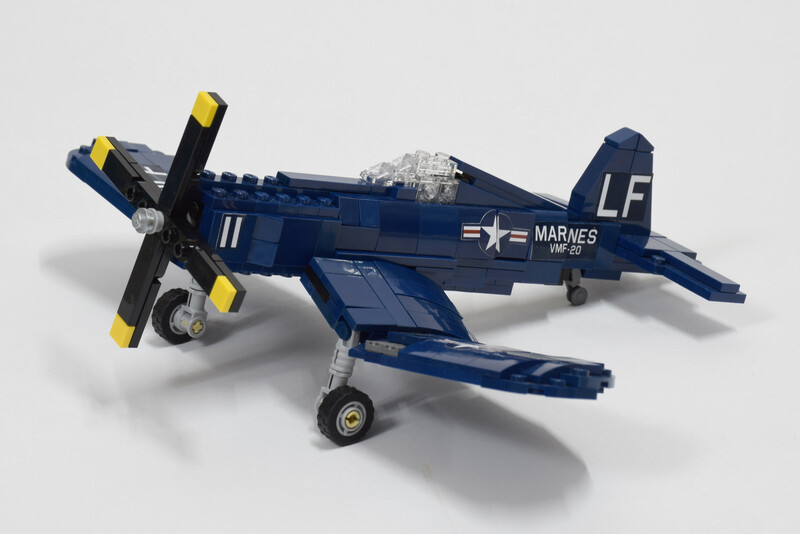 The Corsair was designed as a carrier-based aircraft, but it came to and retained prominence in its area of greatest deployment: land based use by the U.S. Marines. When the Corsair entered service in large numbers with the U.S. Navy in late 1944 and early 1945, it quickly became one of the most capable carrier-based fighter-bombers of World War II. Disclaimer: Stickers are not included - you can print your own from the instructions PDF.